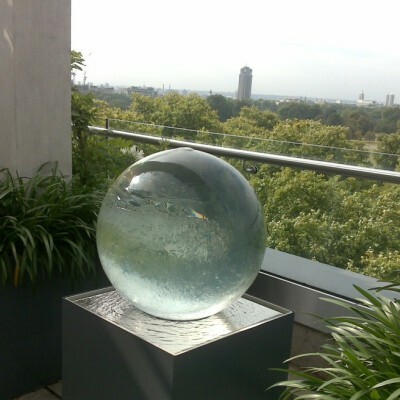 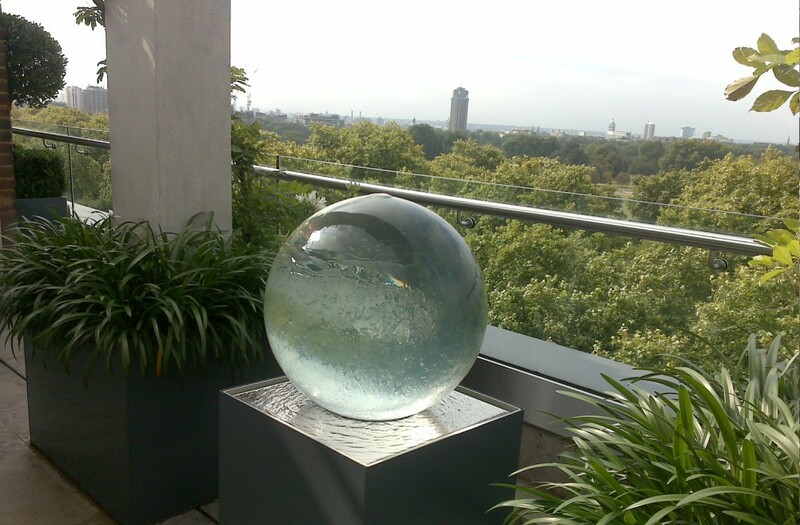 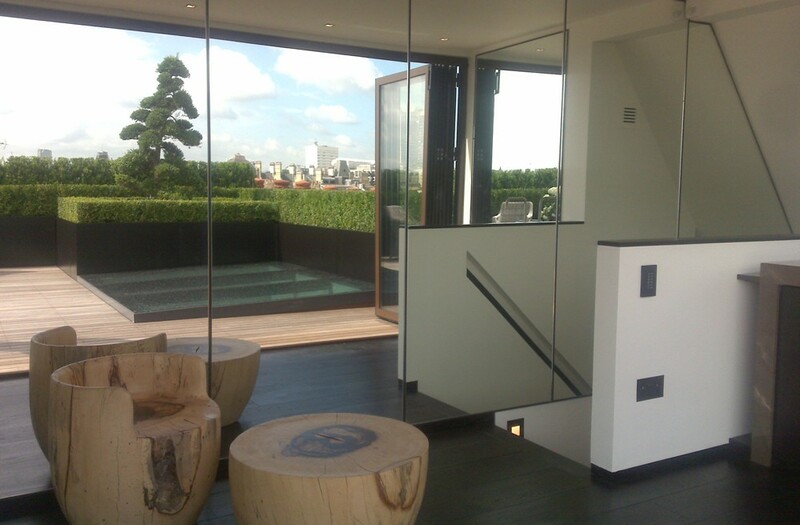 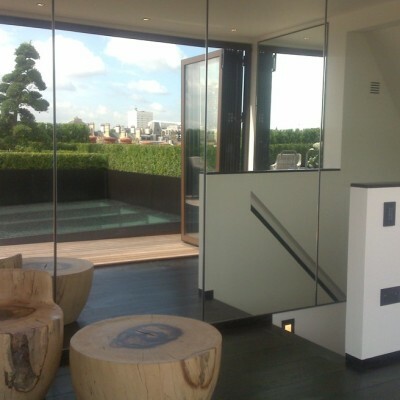 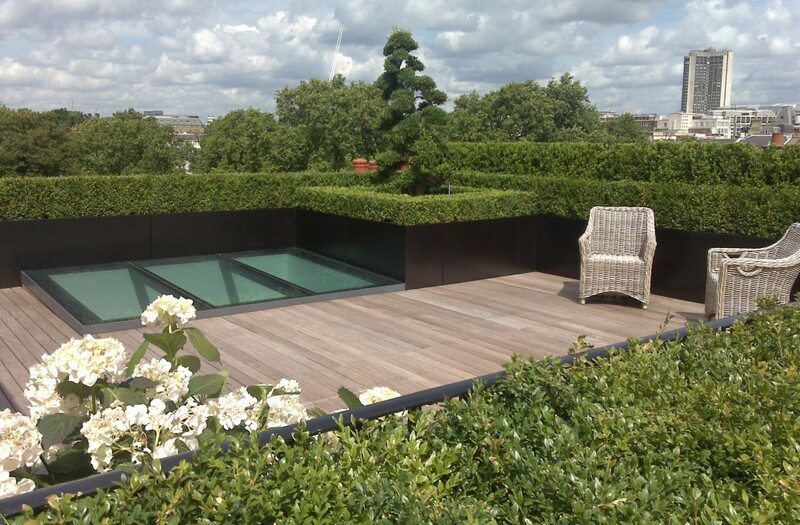 The clients brief was for an ‘outdoor living room’. 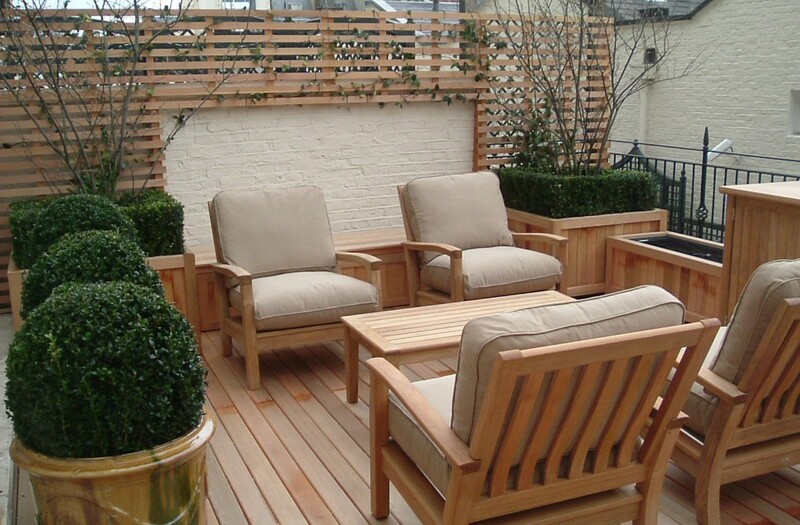 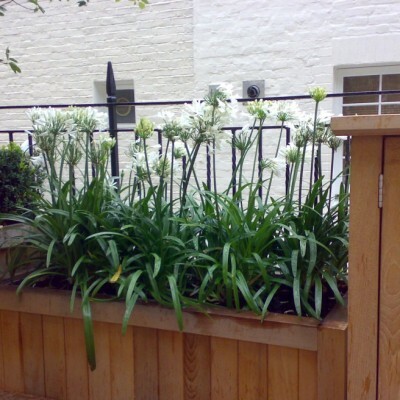 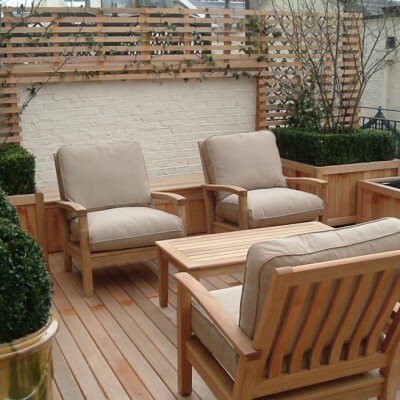 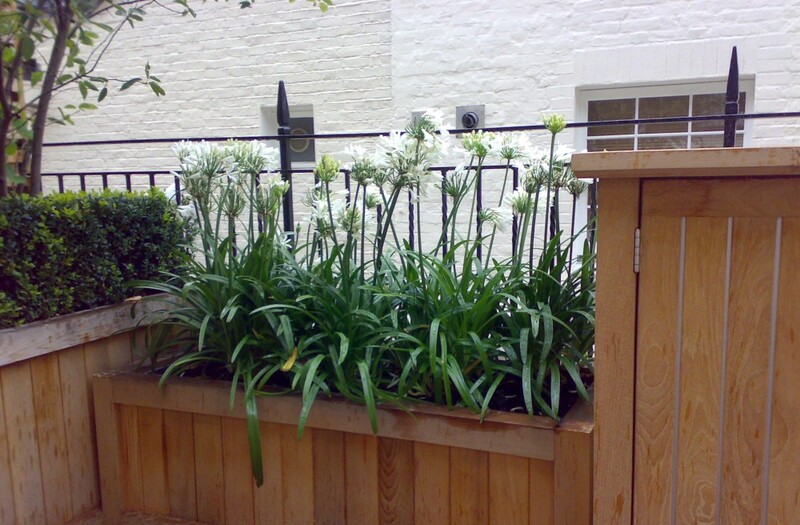 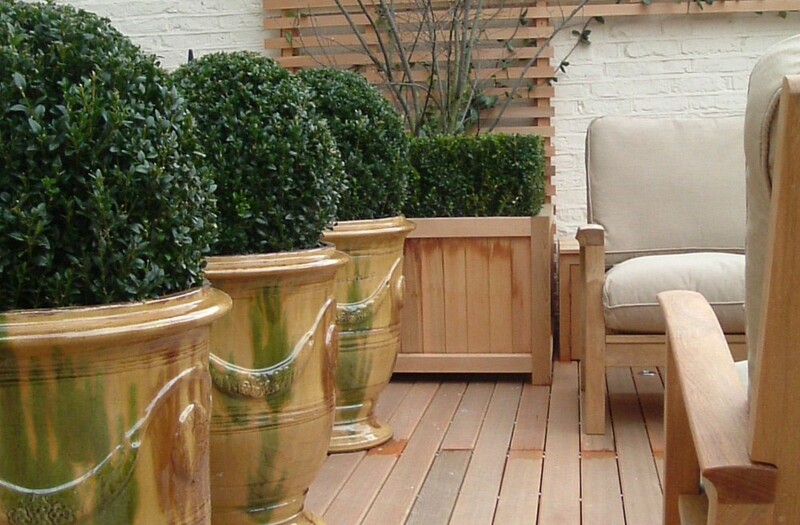 Cedar decking and screening, teak furniture, together with antiqued French urns, create a comfortable private courtyard. 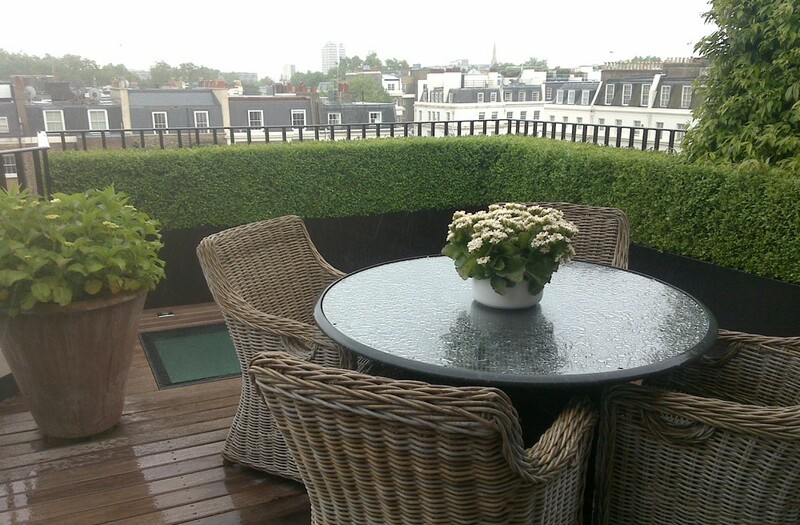 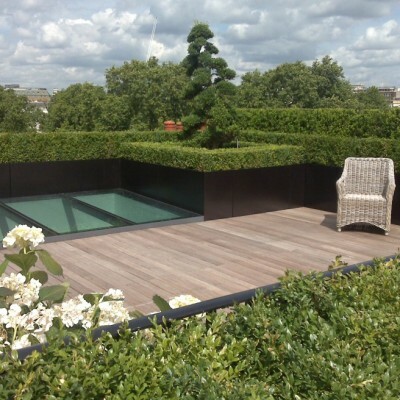 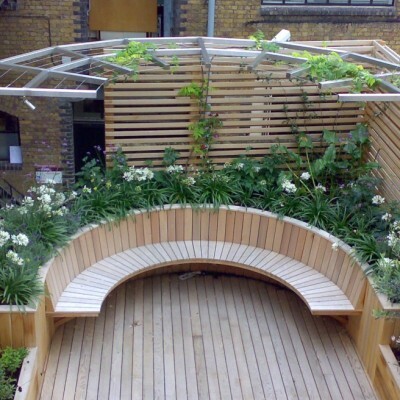 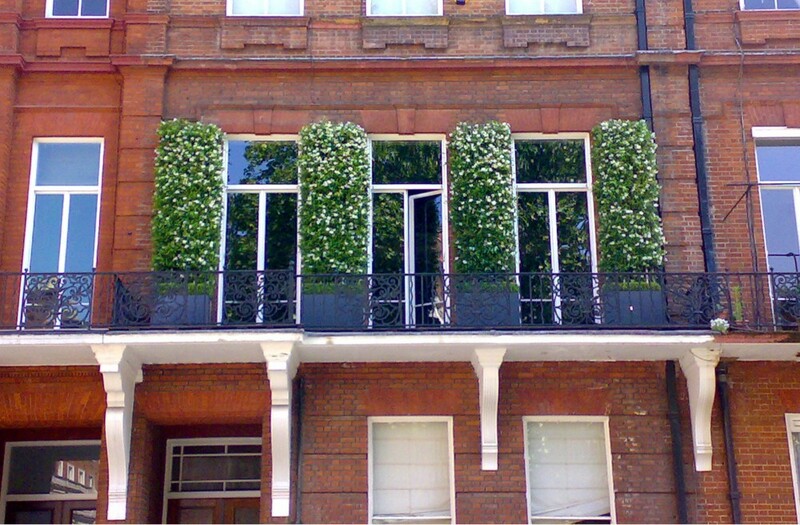 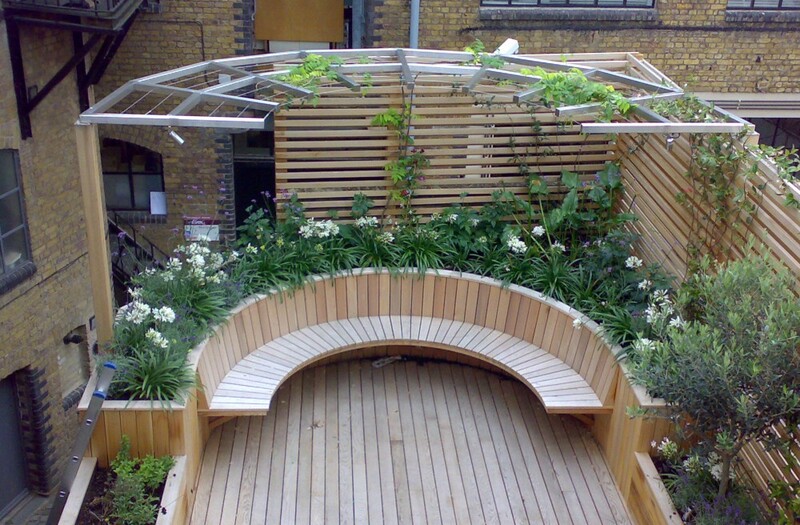 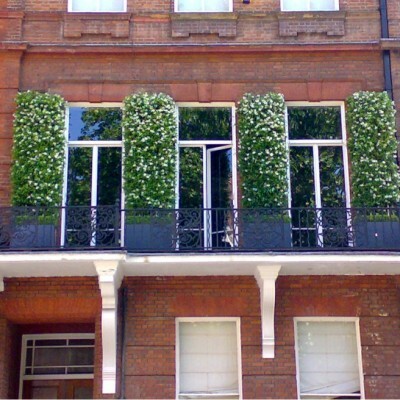 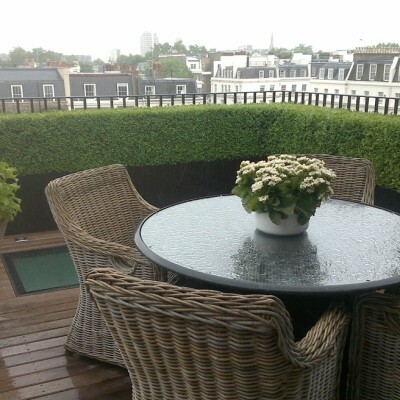 Crisp planters and bands of evergreen hedging boldly frame the magnificent panorama from this roof terrace in central London.